After buying the new vacuum cleaner, many people search for the answer how to use vacuum cleaner for carpet. 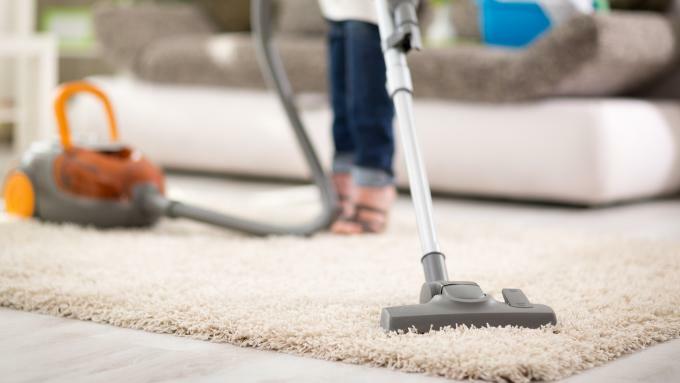 To remove all the dust and dirt properly from the rug, most of us use the vacuum cleaner. To ensure the best cleaning and safety of your carpet, you should consider some important matters. We am here to help you with some useful tips to clean your carpet by using a vacuum cleaner. Besides, choose the vacuum cleaner that is suitable for carpet cleaning among the different vacuum cleaner types. Read our full article for how to use vacuum cleaner properly. When you search for the best vacuum cleaner in the market, you will see that there are a lot of options such as upright, canister, hand-held, etc. Not all types are equal. So choosing the suitable one is very important matter. If you buy a new mat, you should consider the manufacturer of the carpet. Nowadays, soft carpets are popular than the traditional carpets. Besides, from the recommendation of the manufacturer, choose the right vacuum cleaner for your carpet. Most of the vacuums come with rotating brush. But for the carpet, you can try to take the beater bar. This feature of a vacuum cleaner is beneficial to clean the cut-pile carpets. But sometimes it damages some style carpets such as looped type carpet because it can loosen the loop and make the fuzzy carpet appearance. It is another familiar feature of a vacuum cleaner. It is a good idea to take this type of your various styles carpets. We know that different carpets need different vacuum heights. To maintain the airflow and better suction, set the height of your vacuum according to the manufacturer’s guide for particular style carpet. Start vacuuming from smaller space and then vacuumed up the large objects. Try to remove the items that are suitable for picking up by hands to keep the vacuum safe from damage. Another cleaning tip is making a schedule of cleaning your carpet with the vacuum. You can pick a day for a week or month. If you follow a plan, you can keep your floors and carpet clean at all time. It is sufficient to clean the floor once a week. But if you have a pet, it is better to vacuum the carpet more than once a week. Besides, if you have kids, try to vacuum the carpet minimum twice a week. Large furniture is hard to move. Try to move some small furniture while vacuuming the carpet. You can occasionally move the furniture to clean your carpet correctly. Though you vacuum your carpet floor regularly, it is better to deep clean it occasionally. It consists cleaning with shampoo or steam. Deep clean loosen up the dirt and clean the carpet. After deep cleaning your carpet, you will notice that you feel comfortable to vacuum it. Fill the water holder of the vacuum cleaner with warm water and a little bit cleaning solution. Then do steam vacuum of the carpet. If you add too much detergent or soap, it can damage your cleaner machine and ruin the carpet. You cannot remove the stain marks with the vacuum cleaner. If something falls on the carpet, you should move it immediately. It will help you to minimize the long-term stain. If you see any stain on the rug while vacuuming, treat is with the spot cleaner before vacuuming this area. This step will help you to keep your carpet good condition. Besides, you can use a steam cleaner for stain. There are some areas in every home which are difficult to clean with a vacuum cleaner such as closet and stairs. When you vacuum these areas, I recommend you to use the attachments on the vacuum cleaner. It will help you to clean the edges of your carpets and prevent you from carrying the heavy tools. The accessories are provided for the deep clean and tackle the furniture and hard cleaning areas. A clean environment is essential for our life. In the busy life vacuum cleaner is the utensil that helps you to clean your carpets efficiently. The above tips can help you to clean effectively your carpets. You can follow them to use the vacuum cleaner to clean your carpet. Following these tips, it is easy for you how to use vacuum cleaner for carpet.